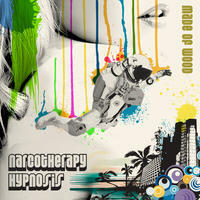 Made of Wood : Narcotherapy Hypnosis. Narcotherapy Hypnosis is an instrumental album steeped in nostalgia for a time that never quite existed. The album is the soundtrack to a fictional 60s/70s spy movie (you'll have to supply the visuals) that fuses both older and more modern sounds into new but familiar grooves. The music ranges from instrumental funky jams with Wurlitzers, clavinet and horns, to more trippy retro-synth space sounds - with a whole lot of exploration in between. This album is a follow up to Made of Wood's previous album, "The Chill Funk Trip," which was met with glowing reviews by the Indie music community. Cover art by Ryan Crowley. License Groove laden chillout funk by Made of Wood for your project. Play the music of Made of Wood in your restaurant or store. The Afro Dub EP by Super Hi-Fi: Trombone-fueled hard Afro-Dub from Brooklyn!